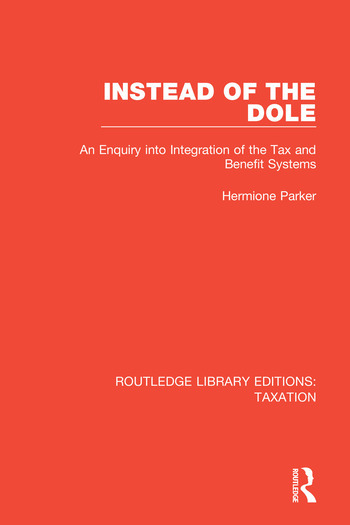 This book, first published in 1989, assesses the existing tax and benefit systems as being beyond repair, and examines the case for integration. Integrated tax/benefit systems change the basis of entitlement from contribution record and contingency to citizenship and need. Having shown that full integration is not realistic, the author discusses four major partial integration options in detail. Basing her comparison on detailed analysis of specific models, she is able to compare the redistributive and incentive efforts of each scheme.